When Frog appears it’s time to sing your soul song! Need help belting out your truth? 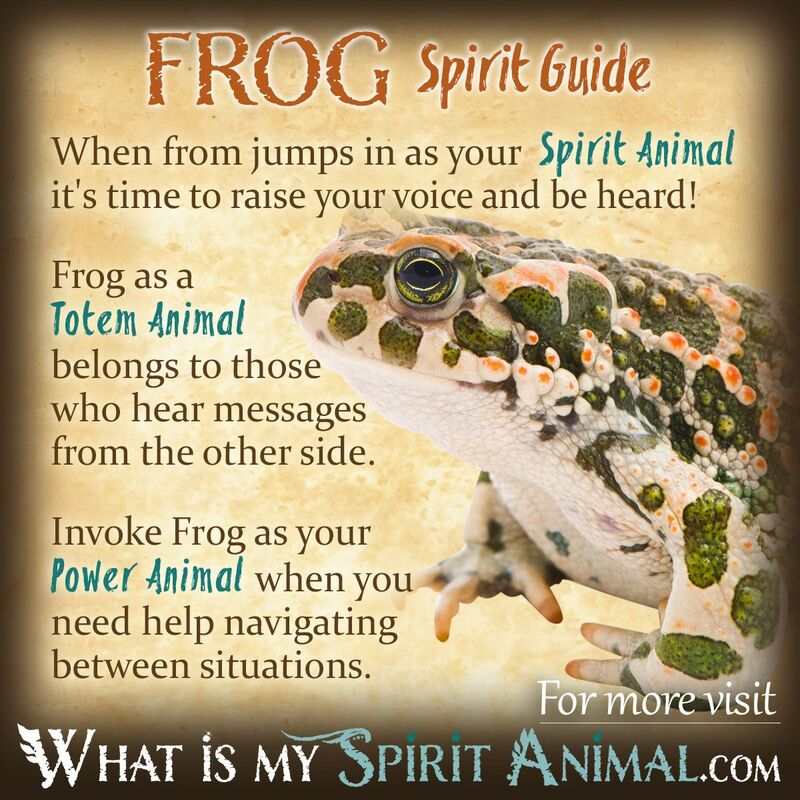 Frog as a Spirit, Totem, and Power Animal can help! Frog teaches you to embrace your voice with pride and how to help you jump right in a situation so you’re heard! Delve deeply in Frog symbolism and meaning to find out how this animal spirit guide can help, educate, and strengthen you. Frog spirit brings us into a deeper connection with our feelings, perspectives and our ability to purge negativity from our lives be that “dis-ease” spiritual, mental or physical. Frog cannot endure a toxic environment and challenges you to release those emotions (like anger, hatred, bitterness, etc.) that hold you back. These outlooks show up in a person’s aura like dark splotches and, in turn, decrease our natural protective and intuitive abilities. Frog spirit often comes to people who are simply not taking care of themselves the way they should. Sometimes this relates to diet, exercise and lifestyle. In other cases it may relate to a relationship on which you’re spending too much energy with little return. In both cases it’s time for a change. Step back and take the time to consider new ideas and outlooks. Just like the tadpole, you’re about to grow into something new and wonderful. The Goddess of love in Rome, Venus, held Frogs as sacred. This symbolism speaks of self-love too! In the story of the Frog prince we see the young maiden willing to give her hand in marriage to the Frog in order to save her mother. She was rewarded when the Frog turned into a handsome prince. Here we see remarkable selflessness and the ability to see beyond surface reality to potentials. From a shamanic perspective Frog is a walker between two worlds – water and earth. As a predominantly night creature Frog has strong ties to the moon. This creature’s songs bring in the rain, and work his special magic. It is a joyous celebration of earth’s nurturing, cleansing and renewal. Let Frog help you find your soul song. In nature Frogs are harbingers of spring. They hide beneath snow until things begin to melt. Then the males begin announcing their intention to the females, followed later by a hearty group of bouncing baby Frogs who live in the melted snow and mud. This is one of the reasons that Frogs represent birth and fertility. Finally, if Frogs leave an area its regarded as a bad omen of some type of natural disaster ahead. When Frog makes an appearance as a Spirit Animal he comes to remind us of our connection to the earth and the seasons. You may find yourself going through a time of growth and transformation, guided by the Frog’s alluring song. Another reason for Frog’s appearance could be your finances. When you’re in a jam, Frog Spirit seems to loosen purse strings and bring a bit of much welcome luck as it hops along your Path. The symbolism for this idea stems from the tadpole’s similarity to a male sperm. Sperm is the “fertilizer” which helps bring about life – hence abundance of all types are accredited to Frog’s symbolic meaning. 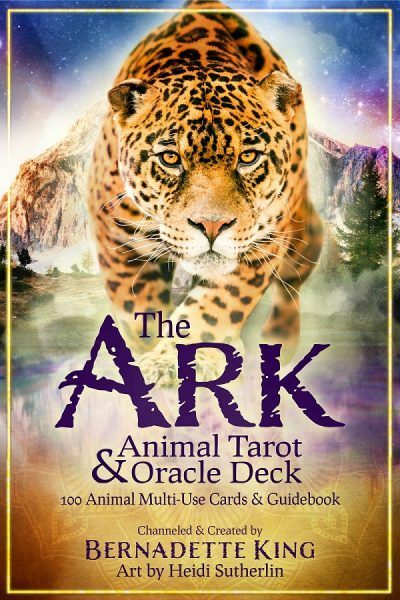 Frog as an Animal Spirit Guide may be coaxing you toward a physical or emotional cleansing. Detox, cry until you find peace. Look for a mantra or chant aimed at purification and healing so you can sing with Frog back to wholeness. But remember, Frogs can jump 50 times their own body length. You have the strength to swim through those murky waters my friend and Frog Spirit is there to help support you. Frog people have the capacity to “jump to it” and uncover opportunities. You face difficult situations swimmingly, something others find unique and remarkable. Frog’s ties to home are tight, particularly with elders of the family. If Frog is your Totem you’ll want to build and strengthen your circle as that feeds your soul. Those born with a Frog Totem have natural intuitive senses and require strong connections with the Spirit realm to maintain their power and vision. As that bond between you, your Higher Self, Angels or the Divine strengthens so will your ability to give helpful advice. Perhaps this is due to Frogs’ uncanny hearing abilities. Because it is so acute, it’s said Frogs can “hear beyond the veil”. What ancient, esoteric wisdom can your Frog Totem sing to you? Frog becomes an excellent helpmate on which to call when you really need to re-order your priorities, state your truth effectively, and adjust your lifestyle. When going through transformations, this Power Animal supports healthy emotions and the ability to handle struggles with grace. Invoke Frog as your Power Animal when you need with communication, particularly being able to express intense emotion and have it understood by others clearly. Frog medicine reminds us to celebrate life in all its incarnations, and remove the barriers that keep us from growth and healing. Other Native American meanings for Frog spirit include fertility, prosperity, rebirth and growth. Tribes that have Frog clans include Zuni, Tlingit, Creek and Chippewa. Because water sources (wells, rivers, etc.) were so sacred to the Celts, Frogs were often referred to in Celtic stories as rulers of the Earth. They also gave Frog the symbolism of healing and cleansing. Interpreting dreams of Frog spirit depend heavily on what you and/or the Frog are doing. For example, a Frog moving from lily pad to lily pad speaks of transience. This dream comes to people who don’t stay in one place (or job, or relationship) very long. Learn more about Frog Spirit by reading What Does Having a Dream about Frogs Mean? on WhatIsMySpiritAnimal.com! Far Eastern symbolism depict the Frog as a feminine spirit (yin). In both China and Japan Frog brings prosperity and good luck. Stories tell us that the money Frog of China was the favored pet for the God of Wealth. In Feng Shui the best placement for Frog figurines at home is near the front door where they can welcome positive chi and wealth. People in Japan often don Frog amulets for fortune or safety in travel. In Asian cultures it is thought that a Frog’s croaking brings the rain so they are associated with crop growth and good harvests. At this very moment i was giving myself a strong potential to confront my crush at school and hoped that he would not reject me and when i went to sleep i woke up to something landing on my leg of course i didn’t move because i was afraid to crush what ever landed on me at first i though it was the little moise that would visit me everynight to sleep next to head during rainy nights but when i looked it was a huge frog more like a green tree frog but he did have a little brown on him and it shoked me but of course how did he get in my room ? My window is still boarded up from irma and i have a house with three cats. I came to see what it meant for a frog to randomly appear and it seems i might get a little good luck with my crush at school. I as just sitting outside contemplating my anger and frustration with my current living circumstances and a particular person amd wondering what to do and how to handle it when a frog appeared just sitting by my feet in daylight. And then I went to read this meaning. So seems I need to invoke the frog power animal to voice my anger and frustration in a helpful manner. Still dont know how.